Well. The trapeziectomy has settled. 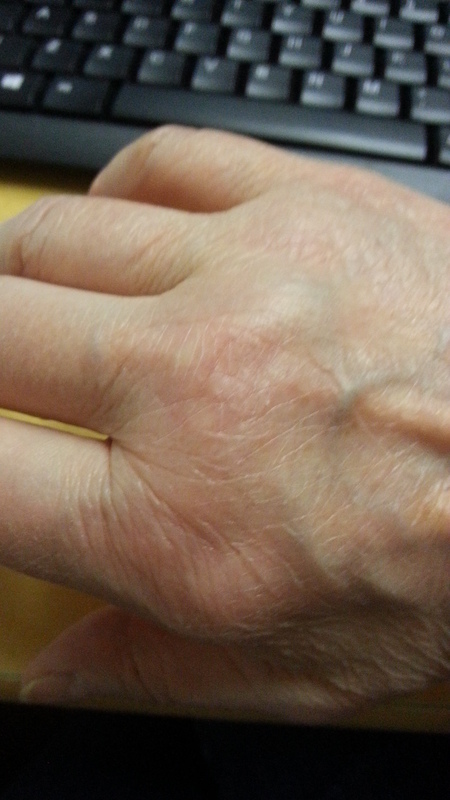 My hand doesn’t look quite normal yet, and differs from the other hand – it’s narrower and a different shape. But the pain has settled down. There is some pain at a background level, and the occasional long, nasty twinge. Mostly, however, it’s ok. It feels normal most of the time. I’m very pleased. It took 3 1/2 months – but that’s normal. In fact, that’s a minimum, really. So in time I expect it will settle even more, the swelling may go down more, and it’ll all be fine. However. While I was under the anaesthetic they also administered a steroid injection into each of my forefinger knuckles, where they join the hand. Now, that worked for just under three months. Now, I am in considerable pain with them all the time. The right one is worse than the left one, and is visibly swollen. The pain goes right through the joint, from top to bottom. I am taking Paracetamol anyway for the surgery pain, but need more than that for this. So I take one Tramadol a day, two if I need to, and have an appointment with my GP to see if there is anything else they/I can do to help manage/control this pain better. The physiotherapist strapped the right one up, and that does help, but isn’t practical all the time. She used Micropore, which is cheap enough, and gave me the rest of the roll. I do use it, but once it’s wet it’s no good, so it needs re-doing regularly. While I was waiting for the physio, I read an article in an Arthritis magazine which said that while rheumatoid arthritis is recognised as an auto-immune disease, osteoarthritis is regarded as part of the natural ageing process. However, research has discovered that there is an auto-immune element to osteoarthritis as well, and that response to drugs used in rheumatoid arthritis in osteoarthritis patients is good. I’m really hoping that my GP knows and agrees with this, and that she’ll try some different pain relievers. I can’t take NSAIDs (Nurofen, Voltarol, etc) because of my asthma – two days and I’m wheezing like an old bellows – so the choices are limited for me. The choices apart from pain relief are: one more injection in the affected joint(s), and if that doesn’t work, joint replacement. That sounds very invasive to me. Even an injection in those particular joints involves a general anaesthetic, and that in itself knocks me about for weeks and weeks. So pain control would, hopefully, be a better way forward. Appointment with GP a week on Tuesday. In other news, I’ve been able to knit for short periods. I’ve done a child’s hat, and am currently almost finished on a baby’s jacket for my niece’s little boy, who will be 1 in December. We had 45 rpm and 78 rpm records. Also 33 1/3 rpm, which were quite new. You can see that the middle could be pushed out if necessary to fit the record player. And the records could be stacked one on top of the other and would drop automatically when the last one finished playing. 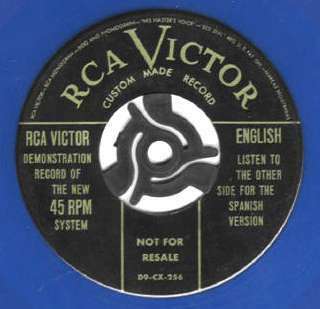 The arm would lift, swivel back to the start position, and wait for the next record. There was no such thing as stereo, CDs or video recorders/players. we recorded onto cassette tapes. only black and white tv until I was about 12, when the first crappy colour tv came out. 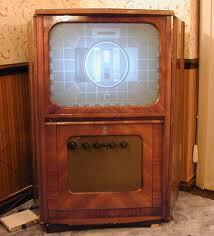 This is almost exactly like the first tv I can remember . We watched (“Watch with Mother”) The Woodentops, Andy Pandy, Bill and Ben, and, wait for it, Muffin the Mule. 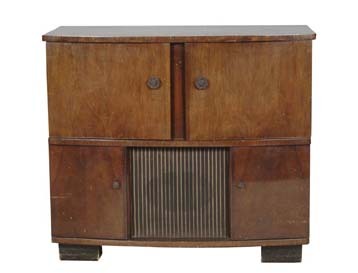 We listened to Listen with Mother on the radiogram (below). There were no games consoles, no personal computers, no printers. We played board games or outside in the garden (not out the front, not allowed). Everything was typed by hand and with carbon paper (which was messy a nd dirty) inserted between the sheets to make copies. There were no photocopiers or fax machines. We used Roneo Gestetners to make more than 3 copies. That involved typing, very hard, on a wax sheet with a carbon sheet behind it, facing upwards, so you could see what you’d typed. Mistakes were corrected with special fast-drying liquid wax. Then you had to ink the drum, affix the wax sheet carefully, wrinkle free, to the drum, load the paper, and turn the drum fast and hard, by hand, until you’d made enough copies. Hard work. 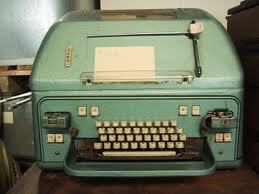 Instead of fax machines, we had Telex machines. You could type the message straight in, but it was more efficient to type it onto a tape, then feed the tape through while you were actually connected. This is exactly like the one I used to use. It was in the most important secretary’s office.That’s it so far folks. More if I can remember any. we didn’t have wall to wall carpeting in every room. There was a strip of lino round the edges, or in the hall and up the stairs, painted or varnished wood. My sister and I had to polish these edges. we didn’t have central heating. There would be ice on the inside of the windows on a winter morning. My dad would come in and light the gas fires in the bedroom. it was considered normal for us, at junior school, to catch the bus to and from school, including crossing a main road. it was also considered normal for us to go to the shops alone aged 7+ (also including crossing a main road). 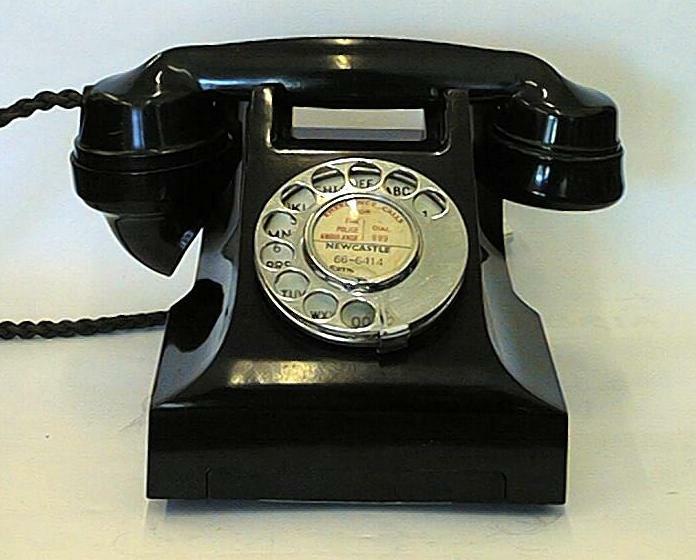 our phone was made of black Bakelite, with a fabric cord, and a dial. The number was ACO 1807.
for a while we had a “party” phone line, which meant sharing with the neighbours, so if they were on the phone, we had to wait till they’d finished. all my mother’s friends were to be referred to by the honorific “Aunty”, even though they weren’t related. when we visited my mother’s friends, my sister and I were expected to go and play with their children, even if we hated each other. The adults were to be left to talk about adult stuff. we had “high tea” which was usually boiled eggs and a jam sandwich, at about 4.30 pm every day. on Saturdays we had fish fingers for lunch, with mash and peas. Every Saturday for as long as I can remember. we caught the bus or walked everywhere for years, until my mother was given a car at Christmas by my dad. It was a surprise, and was parked two doors up, in their garage. there were two postal deliveries, every day. “Second post” arrived after lunch. telegrams were still being delivered. Nobody ever wanted to receive one because they were associated with bad news. 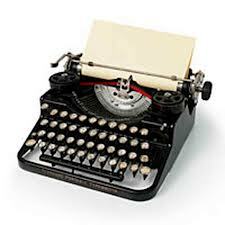 all typewriters were “manual”, not electric. computers were the size of an average house (or so it seemed to me as a small child). 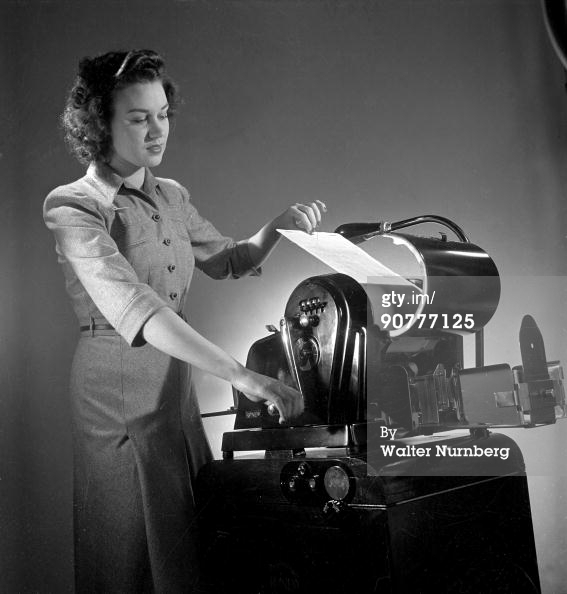 Secretaries felt threatened by the advent of word processors, which were marketed as replacing typists of all sorts. taxis were considered a special luxury treat. we ate beef dripping on bread as a treat. stuffed hearts were a regular meal, as was liver and onions (delicious!). I wore bodices instead of vests. They had little sleeves and buttons which did up at the front. you weren’t considered “properly” dressed unless you were wearing a petticoat. Sunday best included a white hat and matching white gloves. Sunday school was mandatory (to give Mum and Dad some time alone I guess). I didn’t know my parents went to bed, at all, until I was about 5, because they were always up and dressed when I went to bed or woke up. One night I woke up and did wonder why it was all dark, and my Dad found me stumbling half way down the stairs. Dad wore “long johns” in the winter – long underpants to keep him warm – and a string vest all year round. mobile phones hadn’t been invented – weren’t even a twinkle in anybody’s eye. we were smacked with a ruler at school routinely. Mum smacked us if we were naughty at home. It was considered perfectly normal. I once heard Mum say, on the phone to one of her friends, when explaining why we did all the housework, “Why have daughters and bark yourself?” (instead of “why have a dog and bark yourself”). I wasn’t impressed. the fashion for mothers was big full skirts, and when they went out (to the shops or whatever), lipstick was mandatory. No other make-up, just lipstick. Can’t think of anything else right now, but if anything else occurs, will continue . . . .
My friend from school, eons ago, came for coffee today. We’ve kept in touch since school (1965 – 1972!) and see each other approximately every 2 months or so. Love her to bits. Always jolly, always elegant and fab, always fun. Anyway, today was a bit different. Hubby had spotted our cat spending a lot of time waiting, absolutely still, by the shed. Something was moving under there, and it was bigger than a mouse. We were very worried it might be a rat, or even a nest of rats (ewwwwww! ), but couldn’t really see. While Cas and I were drinking our coffee outside, as it’s been such a beautiful sunny day, we saw what it was. It had come out from under the shed and was sitting boldly eating my plants. A very small baby rabbit. The cat was most surprised, and decided not to attack it, just to watch it. So cat and rabbit watched each other. I wasn’t terribly impressed that it was eating my plants ravenously. Even the flowers, not just the leaves. So I spent most of our coffee morning on my knees, in case I frightened it, catching it. I fetched the carrier for when we take the cat to the vet. I fetched a carrot and a couple of cabbage leaves, ripped them into small pieces, and left a sort of trail. Eventually, after a couple of hours, I actually managed to catch it. It screeched like a baby and wriggled like billyo, but stopped when it was inside the carrier. There were two small bits of cabbage leaf in there and a stump of carrot. Turned its nose up at the carrot, but ate all the cabbage leaf! Then I schlepped round all the neighbours from whose houses a baby rabbit could possibly escape and asked them if they’d lost one. No joy. Then I phoned the vet, who said to bring it straight round and they’d scan it to see if it was chipped. So I did. It’s a wild baby rabbit, probably a female, and very healthy. No sign of any mother rabbit, or any other baby rabbits. The vets had given me the phone number of a small animal sanctuary, and to cut a long story short, that’s where the baby rabbit is now. Any more that appear, and that I can catch, will go straight there. No more schlepping round the neighbours. Wild rabbits are a sort of grey/brown colour, like hedgehogs. Tame rabbits are usually, I have discovered today, white, or black, or grey. The vet did suggest we could keep it – no thank you! So that was that sorted. When I woke from my afternoon ziz, I decided to have a go at installing Windows XP on my laptop. I’d put a 500 Gb drive in it, which worked (sort of) in the RipNAS. Well, it didn’t work in my laptop. So I put the old 160 Gb drive back in the laptop, which has Lubuntu installed on it. Well, Windows XP wouldn’t install on that, either. So I have bought a copy of Windows XP for no discernible reason. Grrr. However, the upside is that the laptop is still quite happy running Lubuntu. I suppose that’s ok. The reason I need access to Windows XP is that I have knitting software called Knitware, which I need to design myself a top to knit in Bergere de France Coton 50. And you can’t install this program in Windows 7 (which is what I have now on my main pc). You have to faff about installing it in XP, then copy the installed files into a particular folder in Windows 7, get a Borland Database Engine file, and generally fiddle and faff. In the end I booted hubby’s pc into Windows XP and sorted it all out in there. Now it’s working fine in Windows 7 and I’ve designed the top, worked out roughly how much yarn I’ll need, and will get it tomorrow. 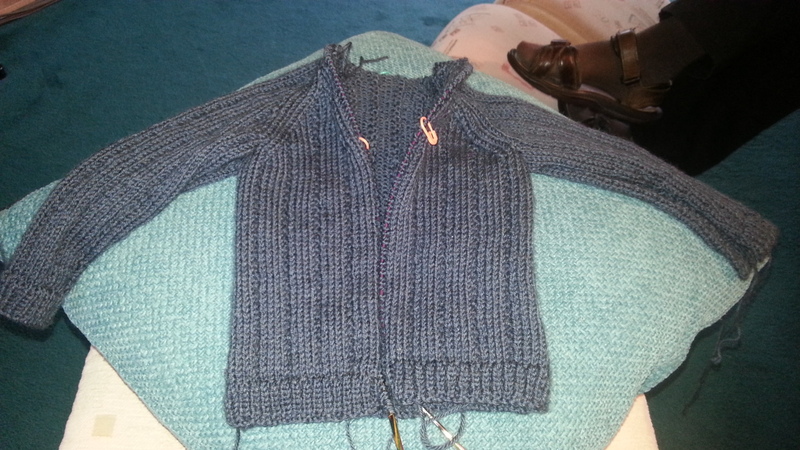 I will definitely need to do a tension sample though. Further exciting instalments as the project unfolds . . . .
And for now, I think, that’s it. So many adventures in one day. Let’s hope tomorrow is calmer, and I don’t find more baby rabbits eating my plants. Cute as they are, they can ruin your garden.